Replacing your siding shouldn’t be a mundane task. 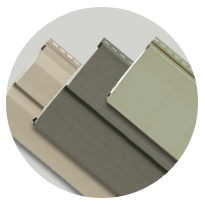 Window World of Lake Charles is here to provide you with all the of siding options and features you need to outfit your home with just the right protection and aesthetic appeal. With high quality, national-brand siding and experienced installers, you’re sure to be impressed. 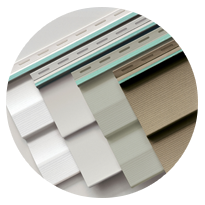 Browse the different siding lines we offer below and click to learn more! This is our all-around high-performer that will withstand any harsh conditions that come its way, and do so while looking fantastic. 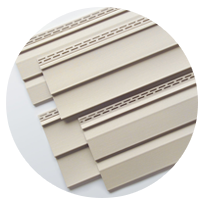 Quality siding with a focus on energy savings, this highly-insulated siding will keep your home’s interior, and your energy bill, nice and comfortable. 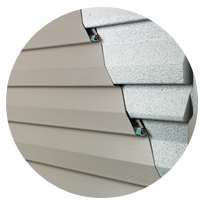 Built tough for homes that stand up to extreme weather, this siding option can even withstand a category 5 hurricane! This extremely affordable siding option is sure to upgrade your home’s exterior with beauty and durability, without breaking the bank. Do you need help deciding on which line of siding is right for you and your home? Are you ready to get started? Be sure to get in touch with our friendly team today!